At the 35th Computer Chaos Congress in Leipzig, Dmitry Nedospasov, Thomas Roth and Josh Datko gave a presentation called wallet.fail, where they tried to demonstrate that Hardware Wallets are vulnerable to several types of attacks. Concerning Ledger, they presented 3 attack paths which could give the impression that critical vulnerabilities were uncovered on Ledger devices. This is not the case. In particular they did not succeed to extract any seed nor PIN on a stolen device. Every sensitive assets stored on the Secure Element remain secure. As security professionals, we are more than happy to see people trying to challenge the security of our products. This is the way to improve security. But, in the security world, the usual way to proceed is responsible disclosure. This is the model in which a vulnerability is disclosed only after a reasonable period of time that allows for the vulnerability to be patched as well as to mitigate risks for users. In this spirit, we have a bug bounty program rewarding the security researchers for their findings. We regret that the researchers did not follow the standard security principles outlined in Ledger’s Bounty program. We equally feel that the findings did not provide practical vulnerabilities, as we will discuss underneath. In short, they demonstrated that physically modifying the Ledger Nano S and installing a malware on the victim’s PC could allow a nearby attacker to sign a transaction after the PIN is entered and the Bitcoin app is launched. It would prove quite unpractical, and a motivated hacker would definitely use more efficient tricks (such as installing a camera to spy on the PIN entry). Then, the scenario is the following: the attacker modifies the device as explained, puts a malware on the victim’s PC which will trigger a transaction and waits for the victim to enter his PIN and launch the Bitcoin app. At this very moment the malware on the PC triggers the transaction. The attacker, who is in a side room, will push the confirmation button with his remote control. They succeeded to install a custom firmware on the MCU. This is actually a feature: the JTAG (debug interface) is still active on this chip, so it’s possible to load the MCU using JTAG and run it in bootloader mode. However, they loaded it using software which was not featured. They used a bug in the firmware update function to perform this. This bug has been solved in the next firmware version. Nevertheless, this bug does not allow anything more than the JTAG. Have a high reproducibility. It means that the position of the receiver and the attacked device must be exactly the same – the position of the USB cable is also paramount (as it acts as an antenna). If the conditions are not exactly the same, the machine learning classifier won’t work properly. Ledger values all attempts to compromise our hardware wallets. We strongly believe that our Bounty program is the way towards continuous security improvements. We are, however, also convinced that responsible disclosure is the best practice to follow in order to protect the end users while improving our products’ security. 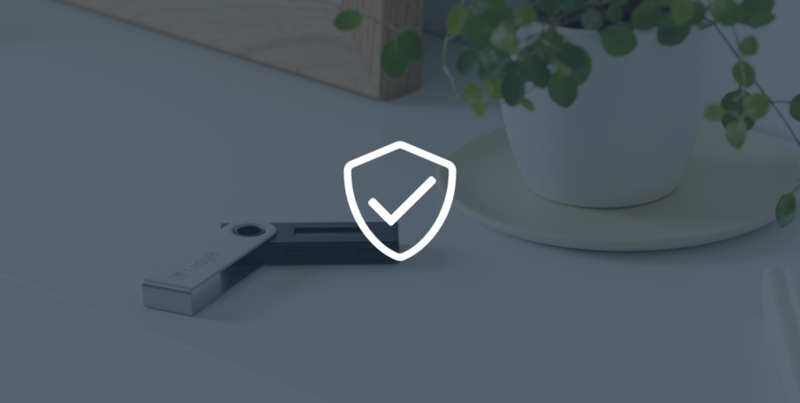 In case you have any doubts or concerns regarding the integrity of your Ledger devices, please contact our Support team.